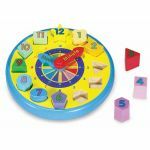 Melissa & Doug Educational Toys are always discounted at Schoolhouse Publishing! If you aren't familiar with Melissa & Doug toys, you're sure to be pleasantly surprised. 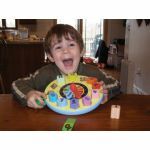 Melissa & Doug toys are educational, classic, well-made toys that your kids will enjoy...and your grandkids! Many are beautifully-crafted wooden toys painted in rainbow colors. The prices are amazingly low for such high-quality toys. These not only enhance your homeschool curriculum, but they make wonderful gifts as well. We've discounted them even further off their already-low prices.